August 21, 2018Facelifts vs Injectable Dermal Fillers: Which One is Right for Me? Facelifts vs Injectable Dermal Fillers: Which One is Right for Me? It is important to review the differences between the two to understand which option, if either, is best for you. If you are looking to rejuvenate your appearance and fight the effects of gravity, you may have been contemplating a facelift and/or dermal fillers. Facelifts are performed by a board certified plastic surgeon and are good options for those looking to correct sagging skin. On the other hand, dermal filler restores lost volume and can be performed by a dermatologist or even a certified nurse injector. It is important to review the differences between the two to understand which option, if either, is best for you. Rhytidectomy, or more commonly known as facelift surgery, in an invasive surgery that helps reduce the appearance of wrinkles, natural creases, and sagging skin around the face, neckline, and jawline. Its goal is to give the face a youthful appearance by reversing the inevitable signs of aging that can stem from a variety of factors like genetics, personal habits, and the environment. A facelift involves working with a board certified plastic surgeon to tighten the loose skin around the lower face and jawline and readjusting the facial tissues to give more desirable definition and facial rejuvenation. To complete the transformation, the board certified plastic surgeon will remove excess skin that was contributing to the tired looking appearance. Facelift procedures and techniques are constantly evolving. Different types of facelifts target distinct areas of the face, vary in the incision types and quantity, may only require local anesthesia, and can have differing recovery time periods. Depending on the type of facelift (e.g. mini facelift vs traditional facelift vs deep plane facelift) the patient receives, he or she can also combine it with another smaller procedure like a brow lift, neck lift, eyelid surgery, fat transfer, or dermal filler. A facelift’s goal is to have minimal scarring, leaving the patient with a smoother, tightened face and natural-looking results. It is important to keep in mind that facelifts are not preventative, but rather they are restorative. Who is an ideal facelift candidate? First and foremost, good facelift patients must have realistic expectations about what plastic surgery will accomplish. They must also commit to the pre- and post-surgical procedure requirements provided by their facial plastic surgeons. As a first step, it is critical to set up a one-on-one consultation with a plastic surgeon to determine if a facelift is the most appropriate option to accomplish desired goals. Skin elasticity: The ideal facelift candidate will have skin that has retained at least some of its natural flexibility. Supple skin is important for the success of the facelift procedure because the healing process relies on the skin’s ability to conform to its new, youthful contours. Skin elasticity can be affected by several factors such as heredity, sun exposure, or personal habits. Strong bone structure: A good candidate will also possess well-defined facial bone structure, which would help boost the results of the surgery. Defined features, like cheekbones and chins, prolong the effects of the facelift. Those with less distinctive features are still eligible candidates and can see satisfactory results, but they may want to combine the procedure with facial implants, fat transfers, or dermal filler. 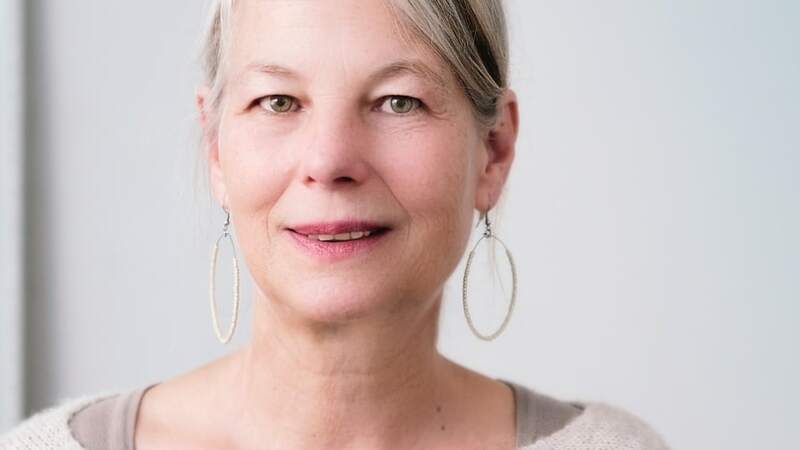 Good health: Since facelifts are invasive procedures, it is absolutely critical that patients are in good health to ensure a positive surgical outcome and mitigate complications. Facelift patients must retain a healthy diet, reach an ideal weight, and cease habits like smoking or nicotine. Injectable dermal fillers (also known as soft tissue fillers, injectable cosmetic fillers, facial fillers, or wrinkle fillers) are soft tissue fillers that are injected into the skin to restore lost volume, smooth out fine lines and deep wrinkles, and enhance the face’s natural contours. Filler treatments are most commonly used for the face, but they can also be used in other parts of the body that can be trouble areas, like the hands, feet, ears, breasts, buttocks, or labia. The filler works by plumping up the desired injection site to fill out the targeted wrinkle, fold, line, or any areas of bone loss. Compared to a facelift, dermal filler is much less invasive and has a significantly shorter recovery time. Because of this, dermal fillers have gained popularity over the years, especially among younger demographics looking to accentuate their facial structure. Unlike plastic surgery’s long-term results, dermal filler’s results are temporary and only last about six months to two years, which means it requires more maintenance than a facelift. However, with consistent maintenance, dermal filler’s effects can be prolonged. If seeking more permanent results to accommodate a busy lifestyle, one can opt for semi-permanent fillers like Bellafill® or fat, which can have results that last up to five years. Who is an ideal dermal filler candidate? Not ready to commit to a permanent surgery: Since dermal filler’s effects only last six months to two years, it is a great option for someone who wants to get their feet wet with cosmetic procedures. With dermal filler, one can soften undesired lines, erase sagging skin, and re-contour and reshape without having to commit to permanent results. Looking to treat signs of premature aging or a non-severe issue: A majority of dermal filler patients are younger than facelift patients and are looking to treat signs of premature aging or mild to moderate skin concerns. Most patients are over the age of 35, but many start as early as their 20’s to correct minor facial imperfections or enhance their appearance. Looking for fast results: A huge appeal of dermal filler is that it produces fast and effective results after just one treatment. Because of swelling and bruising, most patients wait roughly two weeks until they are able to see the final product. Does not like surgery: Dermal fillers can produce a similar outcome to facelifts, which makes it a great option for those who do not like surgery or general anesthesia. Because dermal filler injections are non-invasive, patients can see results without having to worry about increased risk of infection, surgical side effects, or an extensive recovery time. If facelifts or dermal fillers are not right for you, there are other options like a PDO Thread Lift, Thermage®, and laser resurfacing. Like facelifts and dermal fillers, these procedures have their pro’s and con’s as well. The PDO Thread Lift is a minimally invasive technique that can be performed by a dermatologist or nurse injector that uses collagen-stimulating threads inserted under the skin of the cheeks, jaw, brows, or neck to lift the underlying tissues. Swelling and discomfort last about two weeks, though you can return to work the day after the procedure. While the PDO Thread Lift is less invasive, there are rare potential complications in that the thread can pucker, be visible, or even poke out of the skin. Thermage® is another technique and uses radiofrequency energy to tighten and contour the skin by stimulating collagen production. The procedure is mild and, at the end of the treatment, there should be no swelling or bruising. However, its efficacy is not nearly as strong as a facelift’s and some patients have reported not seeing any benefits. Further, it can take up to six months to see improvement. Thermage® can be combined with a facelift, PDO Thread Lift, or dermal fillers to amplify benefits. With a facelift’s invasive surgical techniques and drastic changes, it is ideal for people who can allow time for recovery, are in good health, and are looking for the most dramatic change. Unlike dermal filler which is temporary, facelifts are not reversible. A facelift’s effects can wear over the years from gravity and the natural aging process, but its effects last significantly longer than dermal filler’s promised six months to two years of results. In contrast, dermal fillers are better options for those looking for quick, non-invasive, and smaller touch-ups. For facelift procedures, it is critical that patients have one-on-one consulting with a board certified plastic surgeon who specializes in facelifts to determine if they are a good candidate. Because of the significant healing and recovery time that the surgery demands, patients must be in good health to deal with the expected bruising and swelling. On the other hand, dermal filler is less likely to have adverse events since it is an injectable rather than a plastic surgery procedure. Its effects are immediate and recovery time is only about two weeks. Face lift surgeries can run upwards of $10,000 whereas dermal filler procedures are typically under $5,000. It is important to point out that facelift surgeries and dermal fillers are not covered by insurance. With that in mind, there are many viable financing options to help patients manage the cost of the procedures. When comparing costs, it is important to account for the maintenance of dermal filler. While each session is significantly less than a facelift, dermal filler can become more expensive over time with its maintenance.